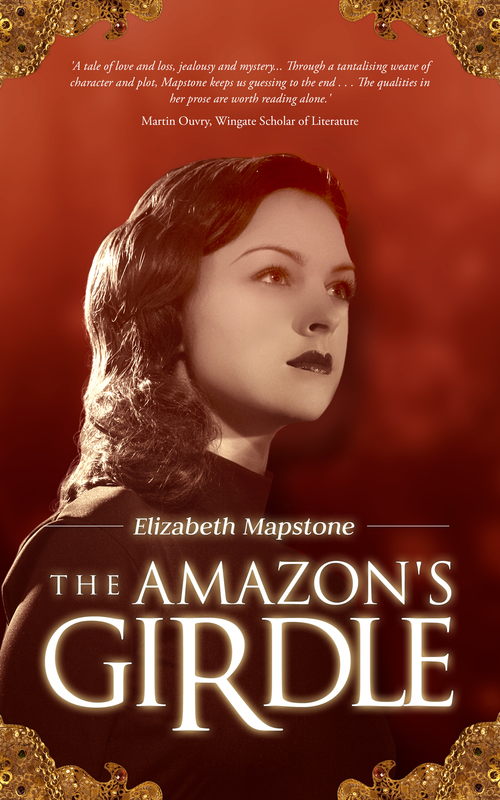 Time now for a break from my current obsession with The Amazon’s Girdle. Almost all the reviews I’ve seen are five star, which is wonderful, and I am so grateful to everyone who posted on amazon’s website, or on Goodreads. Thank you, thank you. But I feel worn out! This publishing game is better played by the young, I think (though this thought may be only temporary). There is little point in publishing a book if no one knows it exists, so publicity appears to be as important as the writing was in the first place. I can’t say I am happy about that, but so it is. Apparently these days, even if you are published by one of the few Big Publishers, you are expected to initiate your own publicity – unless you are one of their chosen top five. Random House didn’t tell me that when they published Stop Dreaming, Start Living (a self-help book that really works), which explains why it never became a best-seller. It gets starry reviews, remains in print, and I even receive fan letters now, eleven years since it first appeared in 2004. But I did little to promote it then, and things have got steadily more difficult. These days you need to be a whizz on social media. Now it seems I have to start learning the trade all over again, and I’m not so sure I want to. I am painfully aware of the indisputable fact that the time available to me now is growing shorter. So I want to write all those novels clamouring to get out of my head while I still can, not spend precious hours of an ever shortening time trying to tell people how wonderful I am. Who cares? Only my family and friends, and they don’t need me to tell them stuff on a website. We talk! You are writing this, you may object. And it is true that I enjoy blogging from time to time, finding something to say that seems important to me and may interest or entertain others. I like writing about books I have been reading. And I rather enjoy have a moan about the travails of an Old Dog in a Brave New World. So this is a piece of self-indulgence – as well as a whimper of despair. I am taking time off to reflect. This entry was posted in Uncategorized and tagged age, books, life experience, Marketing Experts, publishing novels, writing. Bookmark the permalink. Getting ready for the same ‘journey’ Elizabeth, and every word you say went home with me. Thanks for this post. with art therapy. Very inspiring! Thank you. So pleased to hear from someone trying out this French translation. I do hope you find it useful – I often do! Please give it a review, if you feel happy to. Bonne chance!